February 27, 2017 by Beeraj Patel, Esq. While the qualifications for an employment-based immigrant visa are generally more stringent than those required for a temporary, non-immigrant visa, there are categories encompassing a wide range of employment types. Employment-based visas are broken out into five preference levels, determined by the desirability of recruiting that particular class of workers to the United States. In some cases, a person hoping to become a permanent legal resident of the United States through an employment-based immigrant visa has the potential to qualify for more than one type of visa. When the would-be immigrant has a choice, there are multiple considerations, including the likelihood of a particular type of petition being approved. However, one key factor to consider is preference. Preference is important because having a visa application approved is just the first step. The next is to wait for a visa number to become available and be issued to you. 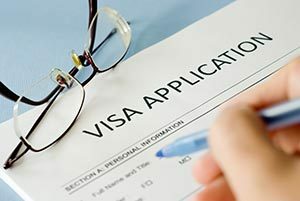 Preference determines how long you are likely to wait before receiving a visa number and the green light to begin working in the United States. The first, second and third preference employment-based visa categories are each allocated 28.6% of available employment-based immigrant visas. Unused EB-1 visas spill over to the EB-2 category, and remaining unused first and second preference visas spill over to EB-3. The fourth and fifth preference categories each receive 7.1%. At first glance, it seems as if first, second and third preference visa applicants are treated equally. The critical difference comes into play when the applicant is coming from a country with a high level of employment-based immigrant visa applications. In addition to the annual overall cap and allocation by preference, there is a cap for employment-based immigrants from a particular country. Since EB-1 applicants get first preference for those visas, lower-preference applicants from certain countries may wait a long time to be issued a visa number, even after successfully petitioning. Special qualifications apply to each of the above groups. For example, a professor or researcher seeking an EB-1B visa must be relocating to pursue tenure, accept a tenure-track position or pursue a similar research opportunity at an institution of higher education. Similarly, an EB-1C visa applicant must have worked at least one of the past three years for a foreign affiliate, subsidiary, parent company or branch of the proposed U.S. employer. An EB-2 visa applicant must have a job offer, and a labor certification is required. USCIS warns that, while the requirements for the EB-3 visa are less stringent, wait times can be long. That is especially true for those applying under the “other workers” category. Eligibility for an EB-4 visa is limited to workers of certain specific types, including religious workers, members of the armed forces, broadcasters and Afghan and Iraqi petitioners who translated for or otherwise assisted U.S. troops overseas. Depending on the circumstances, an employer may be required to petition on your behalf or you may be entitled to file your own visa petition. If you’re considering seeking a green card through the employment-based visa process, a knowledgeable guide can be your best resource. Get help from an experienced immigration attorney as early as possible to ensure that you are choosing the most advantageous path for you.